Known for her large colorful crystal earrings & chunky bracelets in the South, as well as for her delicate filigree vintage earrings and jewels on both coasts, Catherine Popesco has reinvented herself again, with a new modern collection of hoops and geometric shapes. Introduced at holiday 2016, the new collection is a return to La Vie Parisienne’s vintage French roots and reflects a modern interpretation of deco style. Discover modern shapes in 14kt vintage gold plating with hints of deco details. Stylish earrings, necklaces & bracelets that can be dressed up or down, and offer daily chic style. Take a peek, and discover what is going to become your wardrobe essentials. 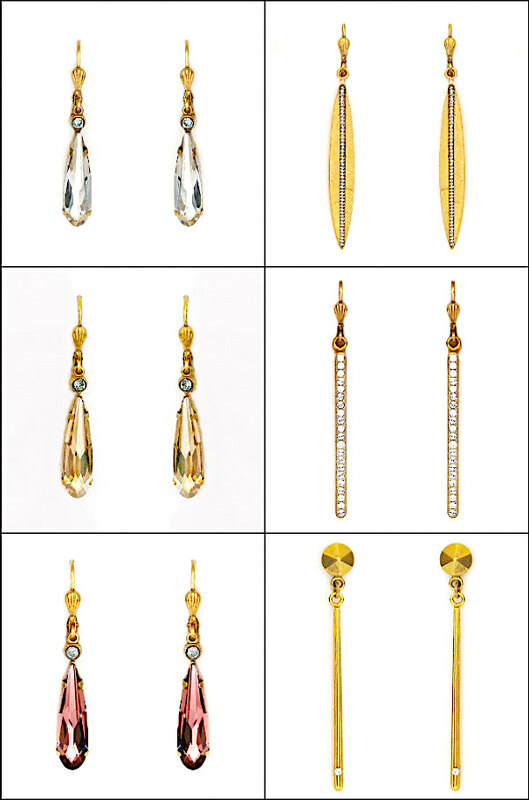 Left: Elongated crystal drop earrings in fashion forward neutral colors. Right: Long thin deco inspired earrings with understated crystal details. 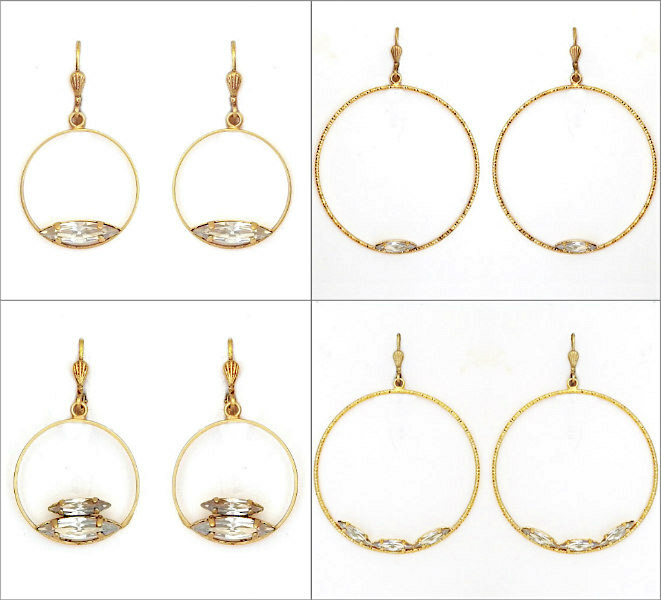 Modern hoop earrings in both medium and large sizes with single, double and even triple accents of marquis crystals. Contemporary bling that isn’t over done. 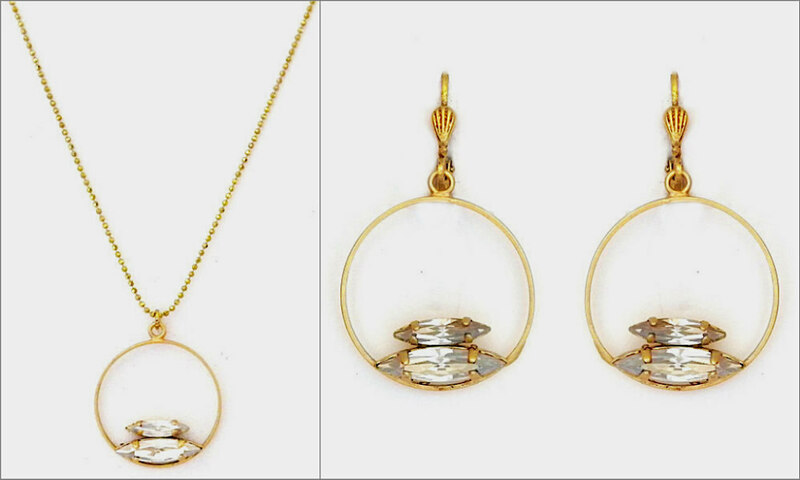 For those who like to pair things up, there is the perfect simple pendant that can be worn solo or paired with any of the new modern hoop earrings or with the new marquis crystal drop earrings. 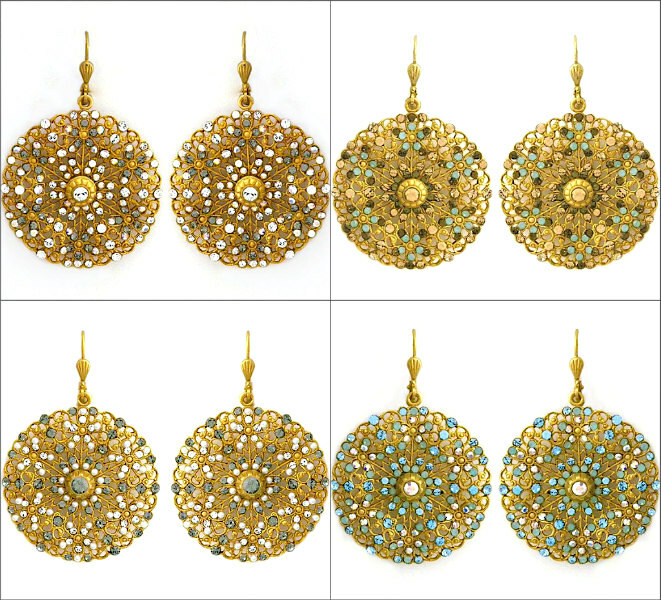 Vintage jewelry fans favorite filigree earrings. Light as air, delicate with just enough color and sparkle. With Valentine’s Day around the corner… a locket or a necklace of vintage charms in “Old World” silver or antique gold is a thoughtful gift for friends, co-workers, romantic partners or even yourself. For Lily Pulitzer fans and Southern Sorority Girls new colors in the classic chunky bracelet, drop and post earrings will continue to be introduced every few months. For our West Coast vintage jewelry fans we will have updated colors in our favorite filigree earring styles and new chunky chain bracelet styles. Stay tune for more new arrivals as we kick off 2017.